Driven’s Data Center partnerships ensure that we are constantly bringing the best solutions to bare for our clients and the needs that are specific to their businesses and industries. Hewlett Packard has been in the innovation business for more than 75 years. HP’s vast intellectual property portfolio and global research and development capabilities are part of an innovation roadmap designed to help organizations of all sizes – from global enterprises to local startups – transition from traditional technology platforms to the IT systems of the future. HPE delivers high-quality, high-value products, consulting, and support services in a single package. That’s one of their principal differentiators. HP has industry-leading positions in servers, storage, wired and wireless networking, converged systems, software, services and cloud. HPE makes IT environments more efficient, productive and secure, enabling fast, flexible responses to a rapidly changing competitive landscape. HP enables organizations to act quickly on ideas by delivering infrastructure that can be easily composed and recomposed to meet shifting demands, so they can lead in today’s marketplace of disruptive innovation. Nimble Storage is a predictive flash storage technology company based in San Jose, California founded in early 2008. It produces hardware and software products for data storage, specifically data storage arrays that use the iSCSI and Fibre Channel protocols and includes data backup and data protection features. Nimble’s mission is simple. “Deliver data velocity; enabling customers to accelerate core business processes. Juniper Networks is an American multinational corporation headquartered in Sunnyvale, California that develops and markets networking products. Its products include routers, switches, network management software, network security products and software-defined networking technology. Juniper EX carrier-class switching solutions are designed for converged enterprise branch offices, campuses, and data centers, as well as for service provider deployments. They address escalating demands for high availability, unified communications, mobility, and virtualization within enterprise networks. Cisco hardware, software, and service offerings are used to create the Internet solutions that make these networks possible, giving individuals, companies, and countries easy access to information anywhere, at any time. Cisco Systems, Inc. is the worldwide leader in networking for the Internet. Cisco was founded in 1984 by a small group of computer scientists from Stanford University. This year, the company celebrates 20 years of commitment to technology innovation, industry leadership, and corporate social responsibility. Since the company’s inception, Cisco engineers have led in the innovation of Internet Protocol (IP)-based networking technologies. This tradition of IP innovation continues with the development of industry-leading products in the core technologies of routing and switching, along with Advanced Technologies in areas such as home networking, IP telephony, optical networking, security, storage area networking, and wireless technology. In addition to its products, Cisco provides a broad range of service offerings, including technical support and advanced services. Cisco sells its products and services, both directly through its own sales force as well as through its channel partners, to large enterprises, commercial businesses, service providers, and consumers. Lenovo Group Ltd is a multinational technology company with their US headquarters located in Morrisville, North Carolina. Lenovo designs, develops, manufactures and sells personal computers, tablet computers, smartphones, workstations, servers, electronic storage devices, IT management software, and smart televisions. We PLAN before we pledge. We PERFORM as we promise. We PRIORITIZE the company first. We PRACTICE improving every day. Their culture is what has enabled them to consistently raise the bar on delivering break-through innovations, award-winning designs and strong financial performance. Dell Technologies Inc. is an American privately owned multinational information technology corporation based in Round Rock, Texas, United States. Founded on September 7, 2016, it was created after the merger of the original Dell Inc. and the former EMC Corporation. Dell leads enabling standards and technologies through industry groups and strategic partners. Dell partners, rather than competes, with top industry technology suppliers and original development manufacturers. These partnerships give Dell a uniquely broad perspective on the computing landscape. Since the first Dell PC was introduced in 1986, Dell has continued to shape the industry by breaking new ground and pioneering critical developments in home, small business and enterprise computing. Dell gathers requirements directly through tens of thousands of daily customer interactions, organized events, social media venues and customer panels. Maintaining strong internal development capabilities, Dell spurs innovation that delivers value to customers. EMC was the world’s largest provider of data storage systems by market share, competing against NetApp, IBM, Hewlett Packard Enterprise, and Hitachi Data Systems (arranged in descending order of external data storage market. EMC has been renamed to Dell EMC as a result of the merger. Following the worlds largest Technology merger between Dell and EMC, EMC now boasts an all inclusive solution for Storage and Network. #1 In Storage – The disruptive days of Flash storage are over. Flash is now the new normal thanks to its affordability, agility, efficiency, and speed. And thanks to Dell EMC, businesses can begin their journey to the Modern Data Center with the broadest All-Flash storage portfolio on the market. #1 In Converged Systems – Converged Infrastructure provides pre-integrated, validated and workload-optimized technology that frees your IT team to focus on delivering IT services instead of maintaining infrastructure. #1 in Cloud Infrastructure – Today’s most innovative organizations are enthusiastic adopters of hybrid cloud. Companies with significant workloads in hybrid cloud have been able to implement digital transformation initiatives faster and grow revenue up to 2x. Founded in 2006 and headquartered in Baar, Switzerland, Veam recognizes the new challenges companies across the globe face in enabling the Always-On Enterprise™, a business that must operate 24.7.365. 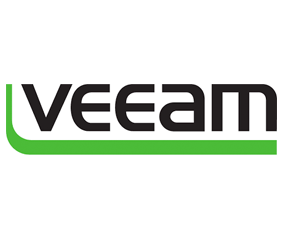 To address this, Veeam has pioneered a new market of Availability for the Always-On Enterprise™ by helping organizations meet recovery time and point objectives (RTPO™) of less than 15 minutes for all applications and data, through a fundamentally new kind of solution that delivers high-speed recovery, data loss avoidance, verified recoverability, leveraged data and complete visibility. Veeam Availability Suite™, which includes Veeam Backup & Replication™, leverages virtualization, storage, and cloud technologies that enable the modern data center to help organizations save time, mitigate risks, and dramatically reduce capital and operational costs, while always supporting the current and future business goals of Veeam customers. 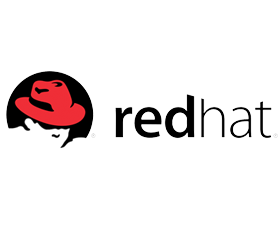 Red Hat is the world’s leading provider of open source software solutions, using a community-powered approach to provide reliable and high-performing cloud, Linux, middleware, storage and virtualization technologies. Red Hat also offers award-winning support, training, and consulting services. As a connective hub in a global network of enterprises, partners, and open source communities, Red Hat helps create relevant, innovative technologies that liberate resources for growth and prepare customers for the future of IT. OpenStack® is the most widely deployed open source software for building clouds. OpenStack is for service providers, enterprises, government agencies and academic institutions that want to build public or private clouds. Industries range from IT & telco to SaaS and eCommerce to finance and healthcare. Enterprises use OpenStack to support rapid deployment of new products, reduce costs and improve internal systems. Service providers use OpenStack to give customers reliable, easily accessible cloud infrastructure resources, supporting technologies including platforms and containers. OpenStack powers clouds for many of the world’s largest brands, including AT&T, Bloomberg, Cisco Webex, Disney, Fidelity and Walmart. Nearly 500 companies and 23,000 individuals across more than 150 countries are supporters of the project. Deploy applications quickly and predictably. Scale applications on the fly. Roll out new features seamlessly. Limit hardware usage to required resources only. Kubernetes’ goal is to foster an ecosystem of components and tools that relieve the burden of running applications in public and private clouds. Docker, Inc. is the company behind the Docker open source platform, and is the chief sponsor of the Docker ecosystem. Docker is an open platform for developers and system administrators to build, ship and run distributed applications. With Docker, IT organizations shrink application delivery from months to minutes, frictionlessly move workloads between data centers and the cloud and can achieve up to 20X greater efficiency in their use of computing resources. Inspired by an active community and by transparent, open source innovation, Docker containers have been downloaded more than 2 billion times and Docker is used by millions of developers across thousands of the world’s most innovative organizations, including eBay, Baidu, the BBC, Goldman Sachs, Groupon, ING, Yelp, and Spotify. Docker’s rapid adoption has catalyzed an active ecosystem, resulting in more than 280,000 “Dockerized” applications, over 100 Docker-related startups and integration partnerships with AWS, Cloud Foundry, Google, IBM, Microsoft, OpenStack, Rackspace, Red Hat and VMware. ARTEC IT Solutions AG is the leading manufacturer of solutions for digital information management, big data, global search, eDiscovery, data security, business intelligence, archiving, and reliable mass storage. ARTEC’s products focus on secure, legally compliant, and economical search, restore, and storage of relevant information in organizations, such as e-mail messages, printed and scanned documents, files, or voice and phone conversations. Founded in 1995, the Company has been developing specialized software, hardware, and integrated appliance solutions that ensure uninterrupted business operations. ARTEC’s innovative solutions feature high reliability, simple implementation and maintenance, and an attractive price-performance ratio. The company’s most important products are the VSTOR® information management system, the EMA Enterprise Managed Archive®, and the VSTOR® Vault mass storage product line. eFolder is a leading supplier of cloud business continuity, cloud file sync, and cloud to cloud backup solutions for MSPs, cloud service providers, system integrators, and VARs. Delivered as wholesale services to the channel, eFolder enables its partners to provide branded business continuity, file sync, and cloud to cloud backup services and to generate highly profitable, recurring revenue. eFolder services complement many of the managed service offerings already deployed by partners and integrate with common PSA systems, making adoption of eFolder services fast and easy. eFolder also empowers cost-effective partner and end-user private clouds, allowing partners to meet the needs of any client, regardless of size or readiness to engage in public cloud services. eFolder is a privately held company and is headquartered in Denver, CO. The StorageCraft family of companies, founded in 2003, provides award-winning backup, disaster recovery, system migration and data protection solutions for servers, desktops and laptops in addition to powerful data analytics, and scale-out storage by Exablox. StorageCraft delivers software products that reduce downtime, improve security and stability for systems and data, and lower the total cost of ownership. Everything StorageCraft does—from creating software that takes dependable disk images to joining forces with IT professionals on the ground—is designed to make fast, reliable, and complete recovery a reality. Arista Networks was founded to pioneer and deliver software-driven cloud networking solutions for large datacenter storage and computing environments. Arista’s award-winning platforms, ranging in Ethernet speeds from 10 to 100 gigabits per second, redefine scalability, agility and resilience. Arista has shipped more than ten million cloud networking ports worldwide with CloudVision and EOS, an advanced network operating system. Committed to open standards, Arista is a founding member of the 25/50GbE consortium. Arista Networks products are available worldwide directly and through partners.